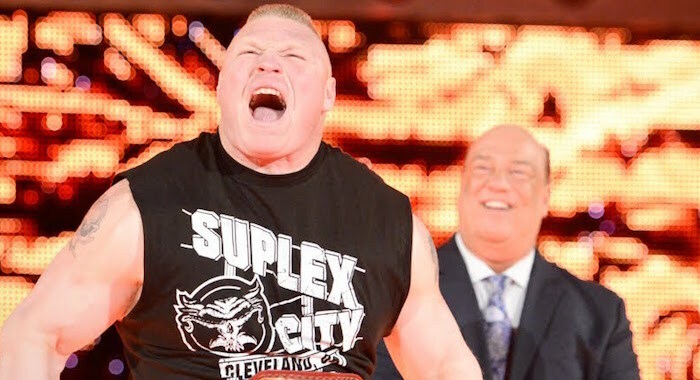 Tonight’s episode of WWE Raw is set to be another huge episode as the Road To WrestleMania 35 intensifies as Brock Lesnar returns. With WrestleMania 35 now less than three weeks away the show is sure to be jam-packed with story development and in-ring action as WWE gears up for its biggest show of the year. Following last week’s surprise attack by Shelton Benjamin, the Universal Champion, Brock Lesnar is confirmed for tonight’s show as he is set to answer questions during Raw. Whilst he does that, his WrestleMania 35 opponent, Seth Rollins is set to go one on one with Drew McIntyre after he destroyed both Roman Reigns and Dean Ambrose last week. In terms of in-ring action, two other major matches have been announced ahead of time. Bobby Lashley will team with Lio Rush to take on Finn Balor and a mystery tag team partner, with plenty of speculation as to who that could be already surfacing online. As well as that, Ronda Rousey is set to defend her Raw Women’s Championship against Dana Brooke follow their exchange last week. Following his announcement last week, WWE Hall Of Famer, Kurt Angle is set to reveal who he will be facing at WrestleMania 35 in what will be his retirement match. Who will partner Finn Balor against Bobby Lashley and Lio Rush?